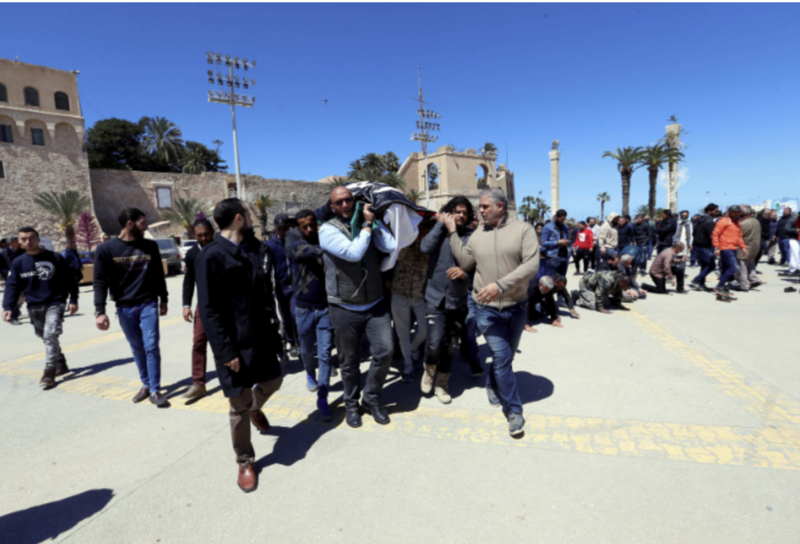 The death toll from the clashes in Libya between the eastern-based army and the UN-backed government forces has increased to 147, the World Health Organization (WHO) said. WHO said in a tweet that 614 others had been wounded since commander Khalifa Haftar launched an offensive earlier this month to take Tripoli. This situation is even direr for health workers who continue to face difficulties under heavy bombardments. At least three health workers, including two doctors, have been killed. WHO also confirmed two more ambulances were attacked in the fighting raising the number to eight since violence began. The organization strongly condemned the attacks on vehicles of health workers in an earlier tweet. Khalifa Haftar’s Libyan National Army (LNA) launched a military campaign on April 4 to take over the capital Tripoli where the UN-backed government is based. The UN-backed government of Prime Minister Fayez al-Serraj pledged to protect Tripoli. Forces loyal to al-Serraj have so far managed to hold off Haftar’s forces. Last week, Egyptian President Abdel-Fattah el-Sissi met with Haftar in Cairo to discuss the offensive amid mounting international pressure to end the campaign.